It's been quiet a year indeed…we are in March already and my days are certainly flying. There is one thing I've been craving for the longest time and is gong back to my love for scrapbooking. "Houston…we have a problem." 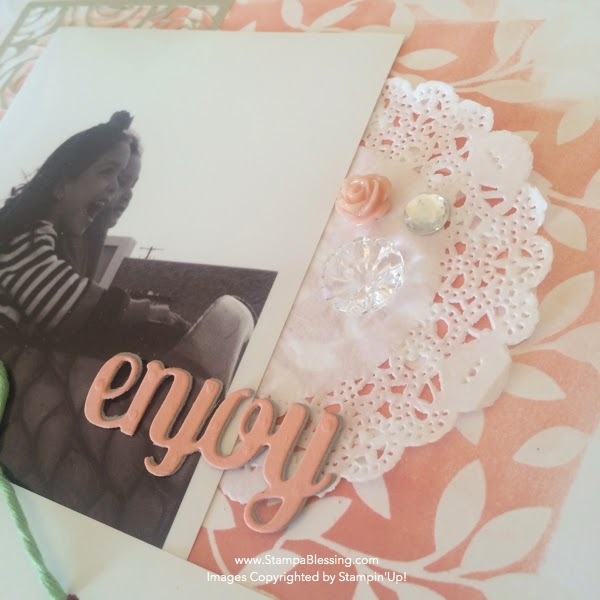 I love scrapbooking in many ways. 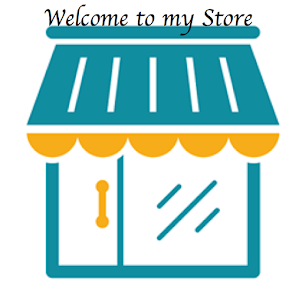 I love MDS (My Digital Studio), I enjoy Project Life (just ordered a new cards kit, yay! 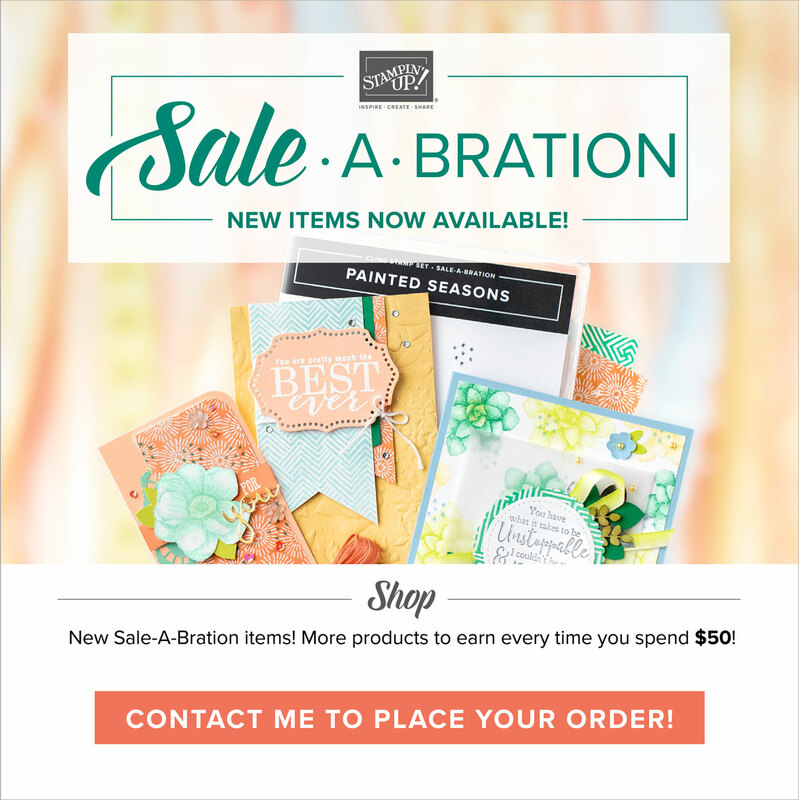 ), This and That plus traditional scrapbooking. 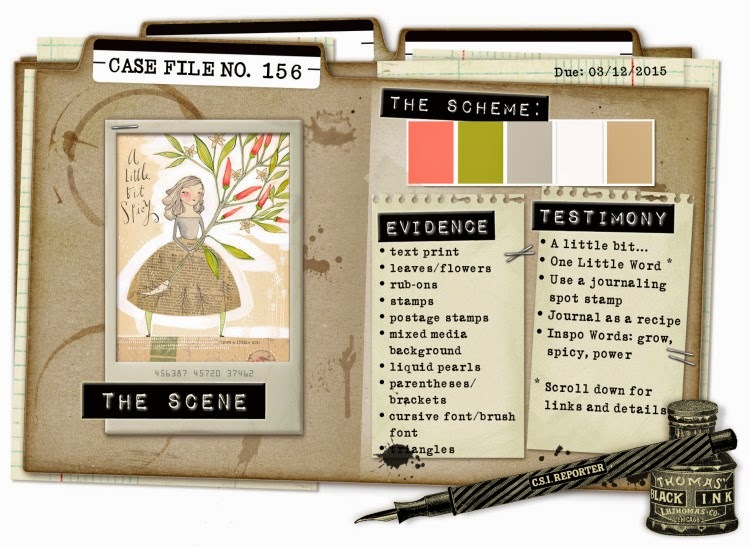 I find so much inspiration at CSI Color Stories & Inspiration that decided to start playing again! It was refreshing and I can't wait to try the different techniques most ladies play with at this site. Textures, textures and more textures…so fun! In this online place it is encouraged to journal. Having little kids in the last years I put journaling in the back burner. But 2015 is all about ENJOYing the journey. Hope you are inspired by this page and the story behind it. I decided to play with my Irresistibly Specialty DSP.I picked the leaves one as it went perfectly with the challenge. 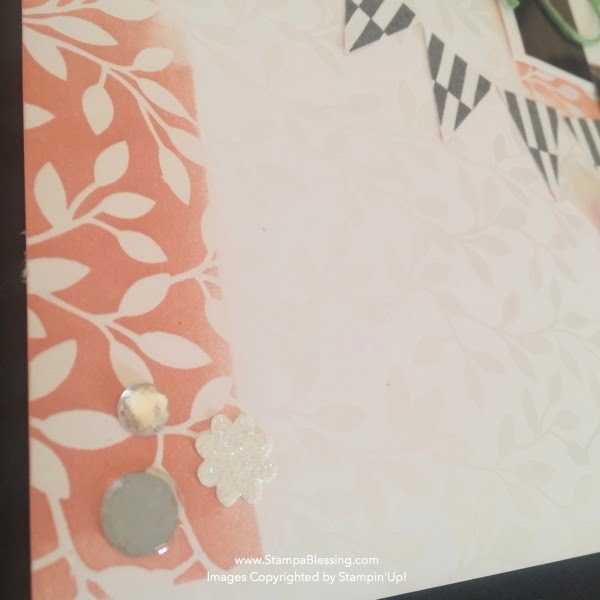 I used my brayer to add color in two sections in Crisp Cantaloupe. Love the look. 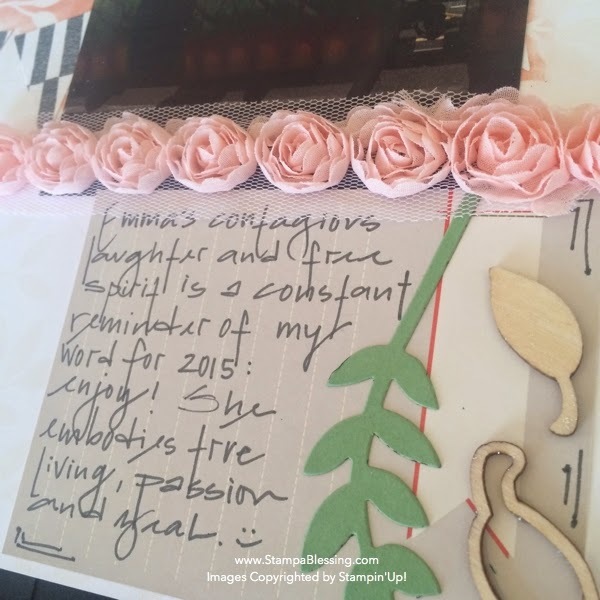 My journaling was written into a Project Life Seasonal Snapshot card. 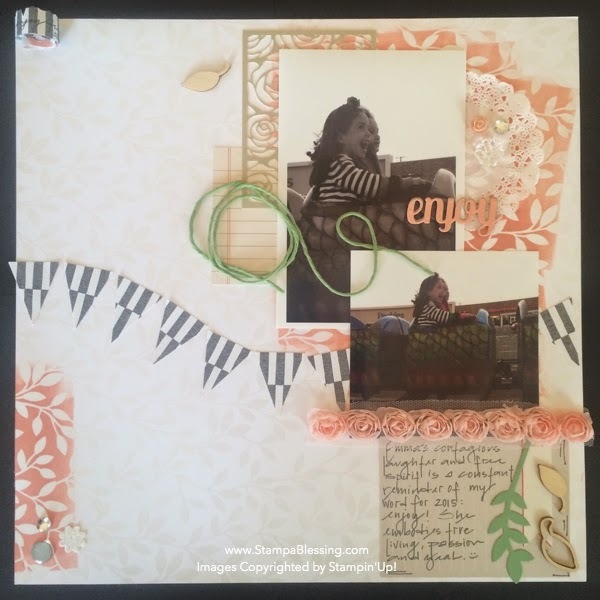 I loved how this brought the color I was looking for the challenge into the layout. I also used the flower trim from the Artisan Embellishing Kit. After I punch all my triangles for the banner I had this cute strip of paper I knew I could use creatively. I added a sweet quote inside that reads as this: "Life is like a roller coaster. You can either scream every time there is a bump or you can throw your hands up and ENJOY the ride." I found it on Pinterest and thought went perfectly with this photo of my little girl. Here it is opened. I clipped it to the corner of the page with an Essentials Hardware Clip. The Wild Wasabi Thick Twine in circles brings me back to the roller coaster that life can be…ENJOY it. Another quote I like says: "You don't get the same moment twice in life." So true…I am blessed by a little girl who constantly reminds me to live with passion and laugh out loud. 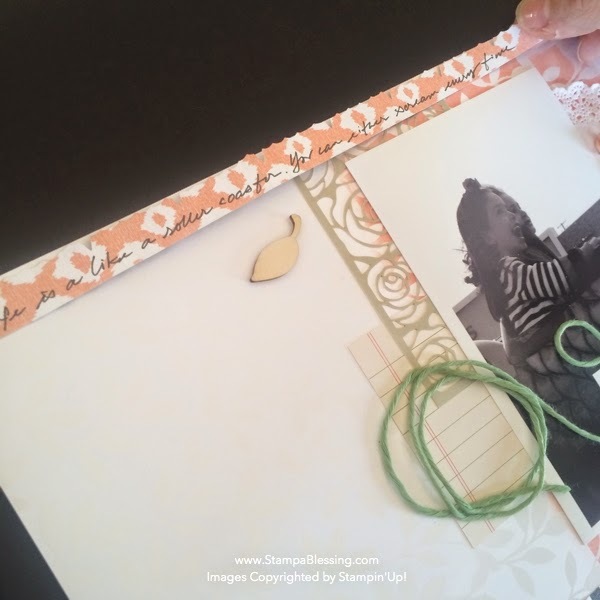 Why don't you try scrapbooking again? Or what about going back to what YOU truly enjoy. This is were my love for stamping started. 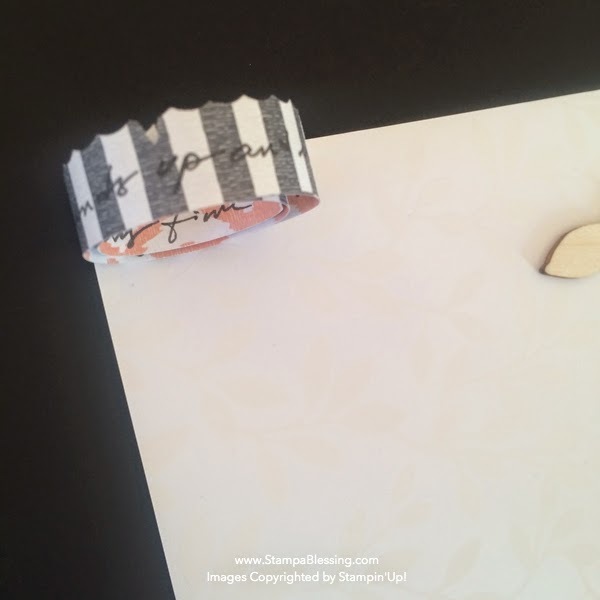 I LOVED stamping on my scrap pages…then fell in love with card making. :) You can't love too many things. 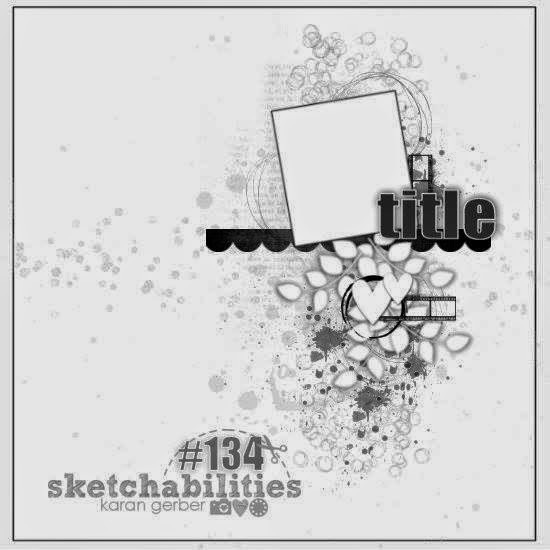 For this layout I used the wonderful sketch from Sketchabilities #134 Thanks ladies for inspiring me with such amazing talent. I followed the CSI challenge #156 for the colors and clues! My evidence was leaves, triangles and "mixed media"
My testimony was "My one little word" ENJOY. I used all the colors. I can't wait to share my next Case File! Have a wonderful week exploring what you truly enjoy. I am certainly thankful to be doing this again. May you be able to find joy in the midst of routine, to create beauty around you especially if your life has none. 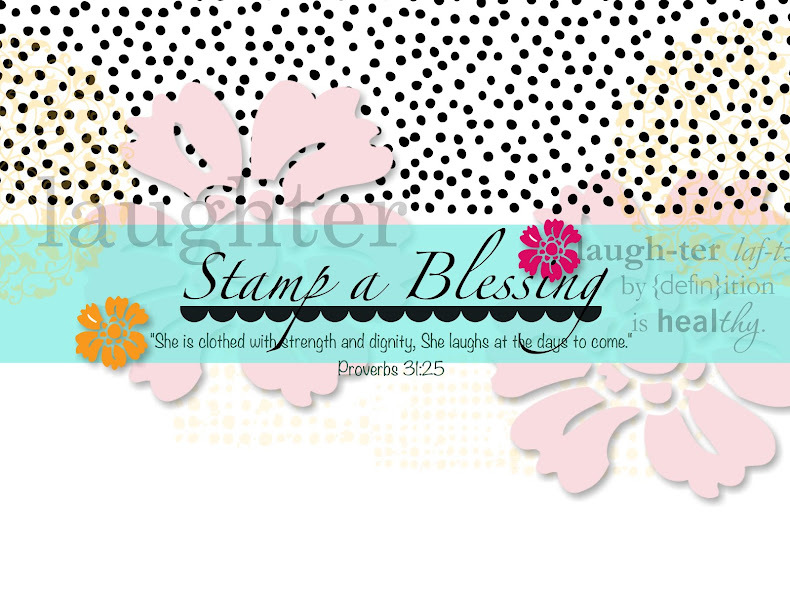 Craft blessings….keep stamping beauty. Others need you, others need your talent. Be strong! Check out Tuesday's Weekly Deals here! Thank you SO MUCH! Love the inspiration on your site indeed! Blessings!